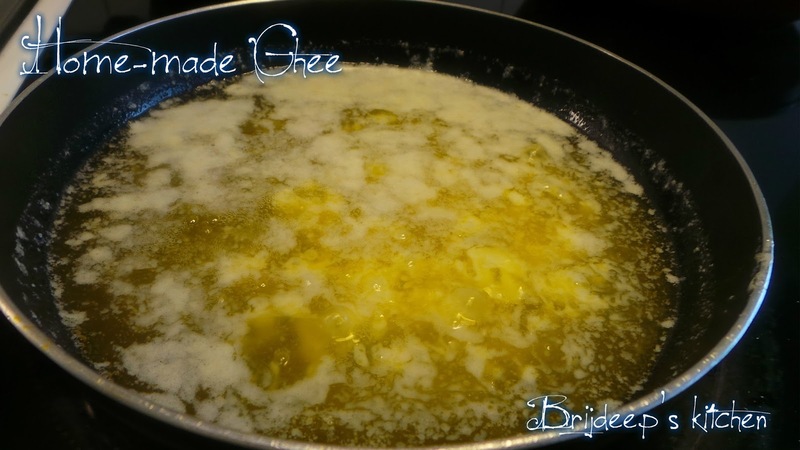 Ghee or clarified butter has been a staple in many Asian countries for centuries. The word 'ghee' comes from the Sanskrit word meaning 'sprinkled' and it basically means that milk fat is rendered from the butter to seperate the milk solids and the water. 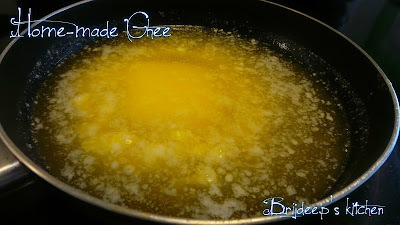 It is made by melting butter and skimming the fat off the top. Not only it's really easy to make, but it has a lot of health benefits. Ghee is rich in vitamins A, D, E and K and these vitamins are important for promoting bone and brain health, and for boosting the immune system. Ghee doesn't need to be refrigerated and it doesn't spoil easily if kept on the counter top. 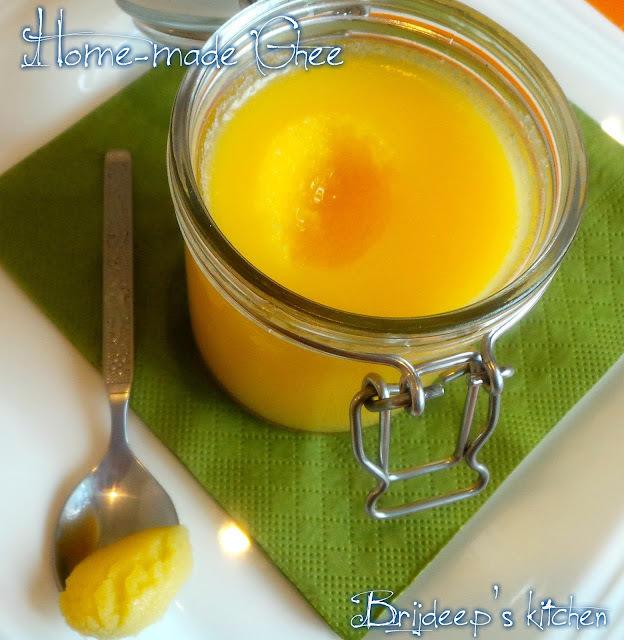 Just make sure to use a dry spoon or spatula to take out the ghee. 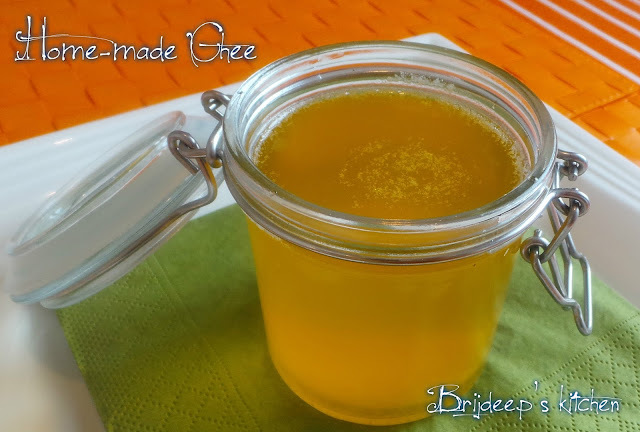 Ghee keeps the digestive tract healthy and helps in increasing appetite as it converts fibers into butyric acid, which is beneficial to intestinal bacteria. It has a higher smoking point so can be used for a lot of dishes which require the cooking medium (cooking oil) to be heated at a high temperature, for example Indian and Asian cuisines. Ghee can easily be prepared at home in a few easy steps from unsalted butter. It doesn't need to be refrigerated and can be stored for months together on room temperature. 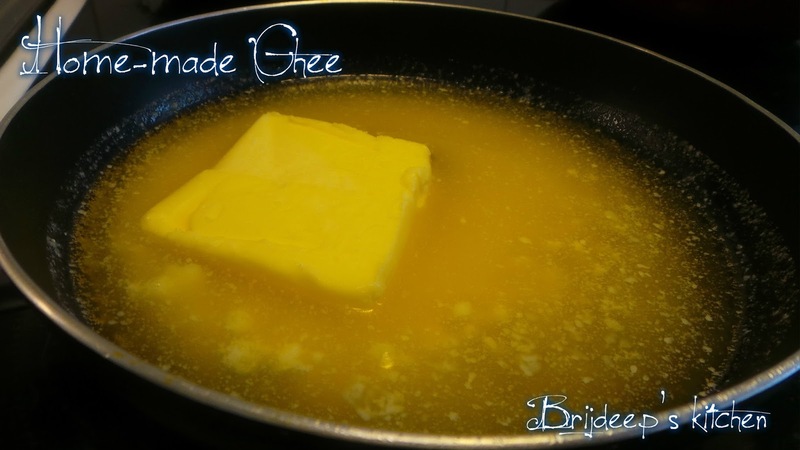 You will only require unsalted butter to prepare ghee. 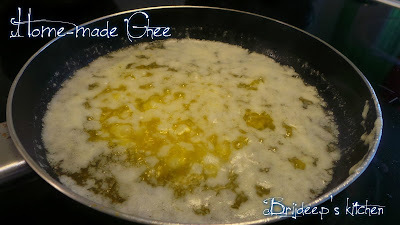 Heat a pan on medium low flame and add the unsalted butter in the pan. 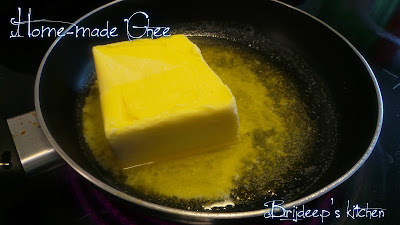 As the pan will begin to heat up, the butter will begin to melt slowly. 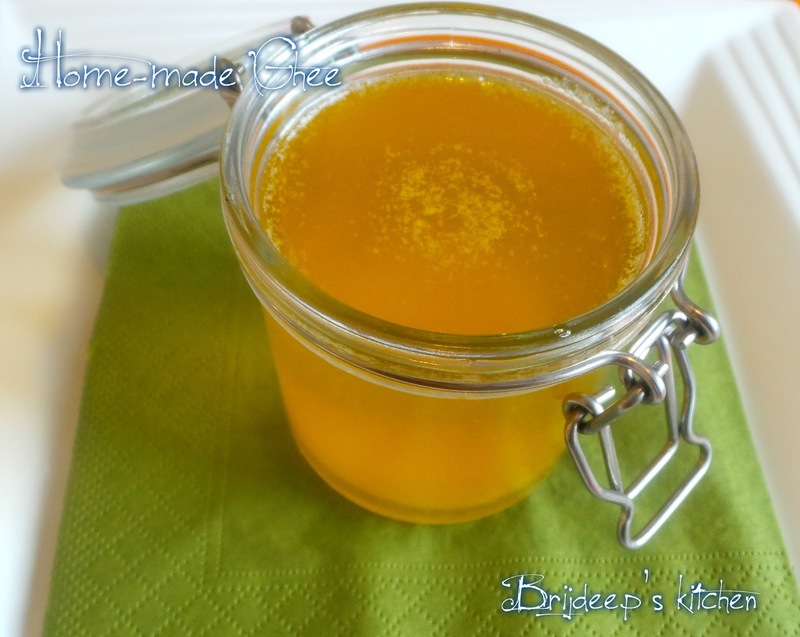 Let the butter melt and slowly with the help of a DRY wooden spoon, begin stirring it slowly. When the butter will melt completely, begin to stir the melted butter slowly at regular intervals. Do not leave stirring for long intervals. 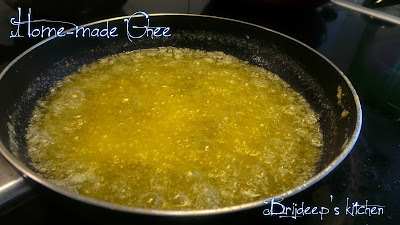 You will see that white bubbles are beginning to form on the top as the butter comes to a boil. This is milk solids. Keep stirring. After some time the milk bubbles will form the whole top layer as the milk solids begin to separate. When you will keep stirring, after about 2-3 minutes you will see the white layer is beginning to settle at the bottom of the pan. After the whole of the white milk solids layer disappears from the top and settles on the bottom, it will begin to turn darker, a shade of light brown. Turn off the flame at this point. Seive in a clean and dry glass container with a metal sieve. 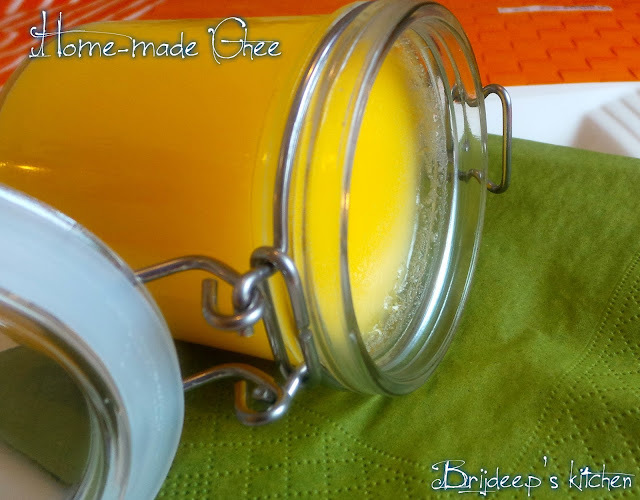 Do not use a plastic sieve it will melt down as the ghee is very hot. 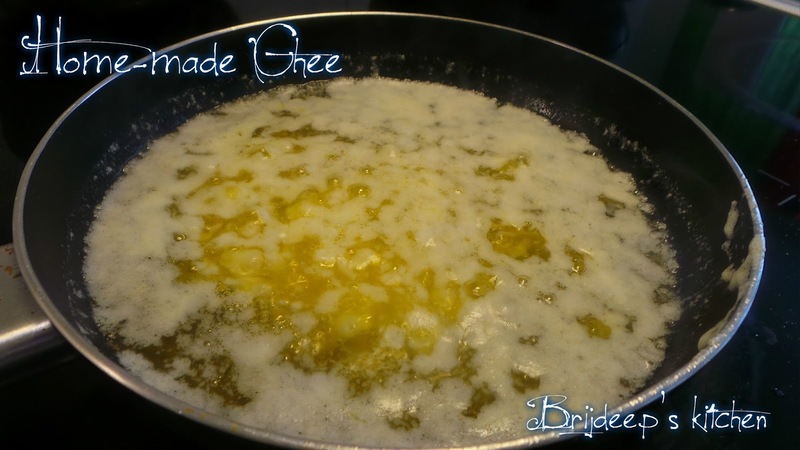 DO NOT CLOSE the lid and let it cool down completely as you don't want water droplets forming in the inside of the cover and spoiling the ghee as the ghee will be very hot. When cooled down completely, cover with a lid and store on room temperature. Use in your food everyday.